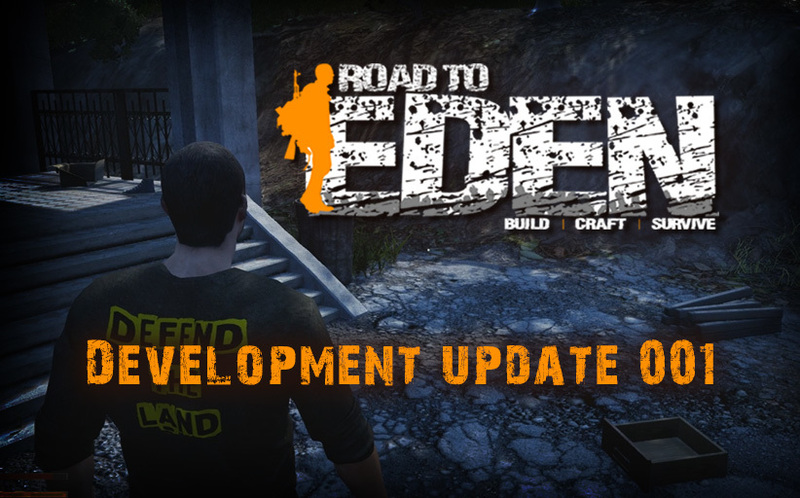 “Road To Eden Early access will slowly and steadily grow out of early access, by the continuous upgrades and expansions added to the game. Once all the planned content is added and build stability and compatibility is confirmed, we will initiate the full release process. I know it has been a few weeks since we released an update, as a result I have decided to start a development update to keep you informed on what is being developed in the pipeline. We have been hard at work to bring you the new dedicated servers system! We are almost done working on a system that will enable you to host your own dedicated server on a separate computer, join a dedicated server and host or join a game hosted on your local computer. We will also setup an official dedicated server soon after the release. A new game is required after the update as previously saved games will not be compatible with the new system. Once we release Alpha 4.0, we will start working on claims, door locks, drivable vehicles, more player capacity on servers and a clan system, in preparation for the large map that will only be available on dedicated servers. We are also preparing new block tiers, and new block forms and designs that will be announced in future development updates. We have pushed Alpha 3.55 to the main branch. A lot of optimizations went into this patch. We were hard at work to bring you more game stability on low end PCs, CPU usage reduction, memory usage reduction, new dungeons, new mobs, and a lot more! join the community discord https://discord.gg/THWCJnG to get the latest news. At this stage one dungeon is available, more will be added as development progresses. The world of Road to Eden is populated with multiple factions, the infected are ordinary people infected with the blue substance brought by the visitors, they are everywhere and their sole mission is to infect you and other survivors. The rebels are bandits willing to kill on sight, they create anarchy and chaos in the land. - We are also planning to add special random world events ranging from visitors landings sites to major paramilitary operations, it's up to you to decide if you engage, and how you engage if you decide to do so! - After release we will be adding The paramilitary, well armed and well trained, they won't hesitate to kill you on sight if you interfere with their operation. And finally the visitors, we have heard stories about them, no one knows why they came and no one survived an encounter with them. Graphics: DirectX 11 graphics card with at least 3GB Video RAM,1280x720 minimum resolution. Graphics: GTX 1050 or greater with at least 6GB VRAM, 1920x1080 resolution.